Usually, the main character thinks for awhile before coming up with a new, better question, gains some clarity, and is off to the races again. Finding the right question, it seems, is key to moving forward. Have you ever found yourself asking the same questions over and over again, feeling stumped and frustrated that you can’t seem to get past this point? Ever wondered if there’s something wrong with you because you just can’t make the call and pick a path? Maybe it’s not so much that you can’t pick the path. Maybe you just need some help finding better questions. 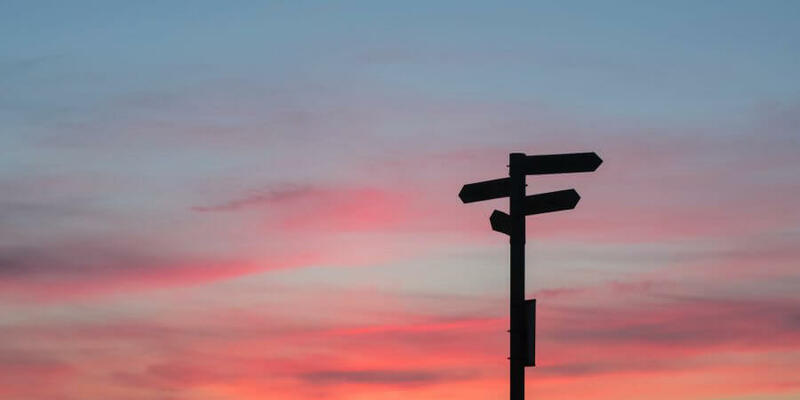 Let’s take a look at some clarifying questions that can help you better understand what you’re struggling with – and maybe point the way to a new direction to explore! Instead of asking: Do I absolutely have to see my narcissistic family at the next holiday gathering? Try these: What do I think might happen if I chose to attend the gathering? What do I think might happen if I chose to stay home? How do I want to handle it if either of these situations occur? What can I do differently this time than I have done in the past? Instead of asking: What is wrong with me that I can’t just cut off my mom? Try these: What am I worried that I will feel if I stop talking to my mom? What do I think will change if I remove an important relationship from my life? What kind of relationship do I want to have with my mom, and is it possible to get any closer to that? Instead of asking: Am I ruining my kids because I’m afraid I’m secretly a narcissist too? Try these: Am I fostering an environment where my kids can grow, learn, and develop? Am I open to hearing feedback from them that can develop our relationship, even if it’s not always positive? Am I supporting my kids in exploring and developing their interests and skills so that they can become more themselves? Instead of asking: Why doesn’t my partner understand how things are for me at the holidays? Try these: How can I communicate clearly and effectively with my partner? What do I need him or her to know about my feelings, wants, and needs? What do I need from my partner to feel supported this holiday season? Bonus: What stops me from asking my partner for what I need? Instead of asking: Why can’t I get myself together at work? Try these: What is not working for me at work? Where am I feeling stuck, overwhelmed, or confused at work? Who can I ask for support with this project? Instead of asking: When can I go on a Netflix binge to recuperate from stressful events? Try these: What do I find upsetting or triggering about this event? What do I need in order to feel safe, grounded, or supported? Who can I ask when I need help? What can I do for myself to actively soothe and care for myself? Pick at least one question from each category and cozy up with a journal to explore your crossroads with some new questions. You never know, some of these questions might also turn up at the wonderful Walking on Eggshells workshop next weekend! There’s still a few spots left – this week will be your last chance to sign up and reserve your space. I can’t wait to see you there!